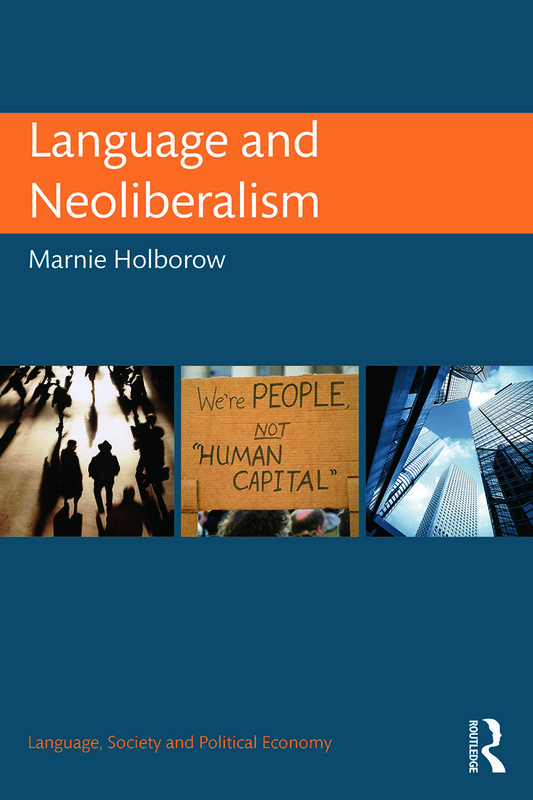 Language and Neoliberalism examines the ways in which neoliberalism, or the ideology of market rule, finds expression in language. In this groundbreaking original study, Holborow shows at once the misleading character of ideological meaning and the underlying social reality from which that meaning emerges. In universities, it is now the norm to use terms like entrepreneurial and business partnerships. How have these terms become a core component of education and gained such force? Markets have become, metaphorically, a power in their own right. They now tell governments how to act and warn them against too much public spending. Post-crash, the capitalist market continues to be crisis-prone, and in that context the neoliberal ideology remains contested. Free of jargon and assuming no specialist knowledge, this book will strike a chord internationally by showing how neoliberal ideology has, literally, gone global in language. Drawing on Vološinov and Bakhtin, Williams and Gramsci, and introducing concepts from Marxist political economy, Language and Neoliberalism is essential reading for all interested in the intersection of linguistics/applied linguistics and politics. Marnie Holborow is a lecturer in the School of Applied Language and Intercultural Studies in Dublin City University, Ireland. She is a co-author of Neoliberalism and Applied Linguistics and has written widely on the presence of neoliberal ideology in language.